Four major Himalayan lakes in Kumaun region in India namely, Nainital, Bhimtal, Sattal and Naukuchiatal, have been studied to understand water and sediment geochemistry. The lakes are characterised by varying degrees of natural and human influences; the Nainital is intensively used and is a major tourist destination, whereas the other three lakes have attracted much attention lately. The lakes have a tectonic origin and are characterised by dolomites, limestones, shales and silicate rocks. The water chemistry is dominated by Ca, Mg and HCO3, an indication of a carbonate lithology source for the water composition. About 55–80% of Na and only 30–40% of Ca in the lakes are derived from silicate lithology. The Nainital lake is also characterised by a high chemical index of alteration, which is reflected in its high carbonate and the clay mineral content of the sediments. Model calculations show that 33 and 67% of nitrate in Sattal Lake is contributed by agriculture and cultural effects, respectively. The 87Sr/86Sr ratios in the lakes are very high (>0.72), with samples from Sattal Lake being extremely radiogenic (>0.82), similar to many Himalayan rivers. The 1/Sr–87Sr/86Sr in sediments show two major sources for Sr-silicates and carbonates. 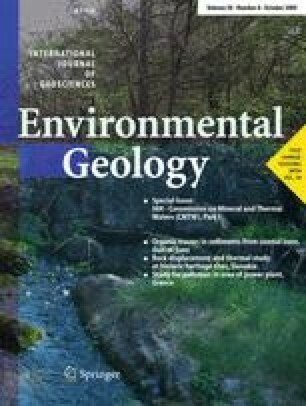 The contributions of Sr from carbonate and silicate lithology is estimated to be 25 and 60%, respectively, in Bhimtal Lake.